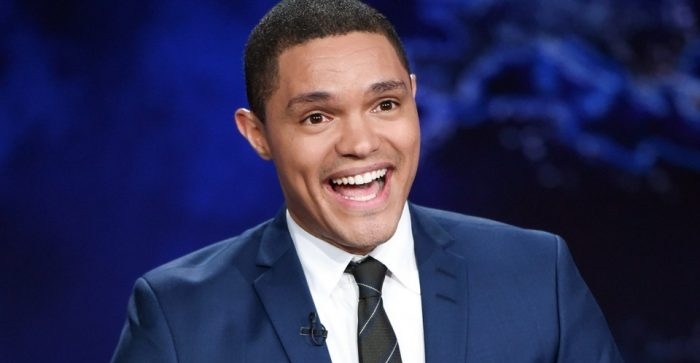 South African comedian Trevor Noah is facing heavy criticism after a video of a stand-up routine from 2013 where he made a joke about Australia's Aboriginal women resurfaced online. Australians on social media are now calling for a boycott of his tour scheduled to begin with a performance at Melbourne's Hisense Arena on August 23. Noah can be seen making a joke about Aboriginal women in the video, which was first shared by Australian photographer, LaVonne Bobongie. "All women of every race can be beautiful," the host of the Daily Show said. "And I know some of you are sitting there now going, 'Oh Trevor ... I've never seen a beautiful Aborigine' But you know what you say? You say, 'Yet.' Because you haven't seen all of them, right?" "Plus it's not always about looks, maybe Aborigine women do special things, maybe they'll just like, jump on top of you," he said, before making a suggestive gesture. The video has now been taken down and a contrite Noah wrote on his Twitter account that he would make sure it was not promoted anywhere again. Several notable indigenous Australians criticized Noah and Australian academic Anita Heiss said she was "appalled and disgusted at the comments." Former Australian National Rugby League Player, Joe Williams who posted the video on the social media platform, expressed his disapproval and asked Noah to apologize. "Hey @Trevornoah, your comments about Aboriginal @IndigenousX in this clip are utterly unacceptable! As a man of color, you are usually in point with racism & divide - here you are perpetrating & encouraging racial abuse!!" Williams wrote. Responses to "Trevor Noah facing boycotts and protests following comments about Aboriginal women"
i hope he admits his mistake, apologizes, tries to make it better, and is forgiven. we are all struggling to wake up. it is hard. but not that hard.